Fans lined up Monday morning to snag tickets to the “Daily Show” with Jon Stewart and his merry pranksters. 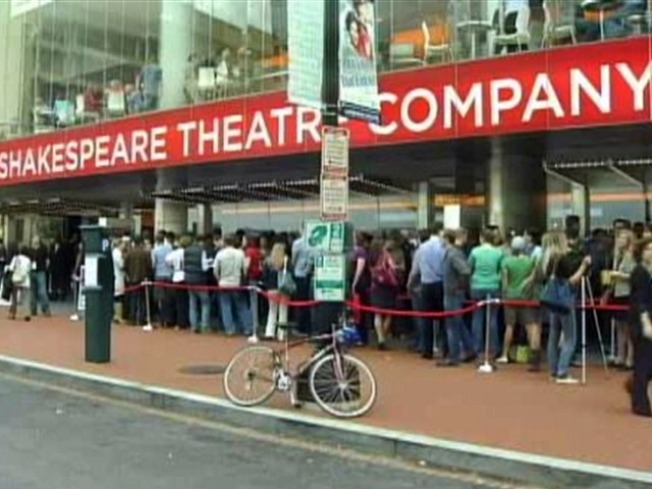 WTOP reported that tickets were released at 11 a.m. and were gone within minutes. The show is taping at the Shakespeare Theatre Company's Harmon Hall Monday through Thursday. After each show taping, the program will air at 11 p.m. on Comedy Central. It's part of Comedy Central's "Indecision 2010 Coverage." All four shows will be called: "When Grizzlies Attack: The Daily Show Mid-term Teapartyganza." Why the spotlight in Washington on Stewart and Colbert right now? How about riding the wave of the hotly contested mid-term elections coming up November 2?